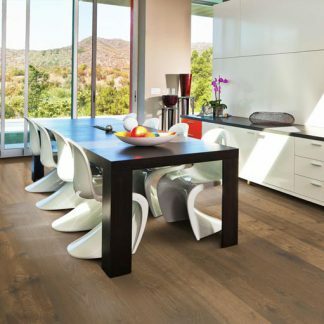 A look and feel of untreated, newly sawn timber is achieved through treating the surface of these 1-strip floors with an ultra-matt lacquer. 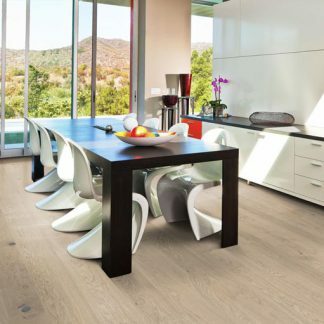 The floors come in colours ranging from light to dark with a four sided micro beveling at the edging which ensures a classic full plank look. The innovative surface treatment is non-reflective; enhancing the colour of the floor while giving it a silky, yet strong shield against wear and tear.